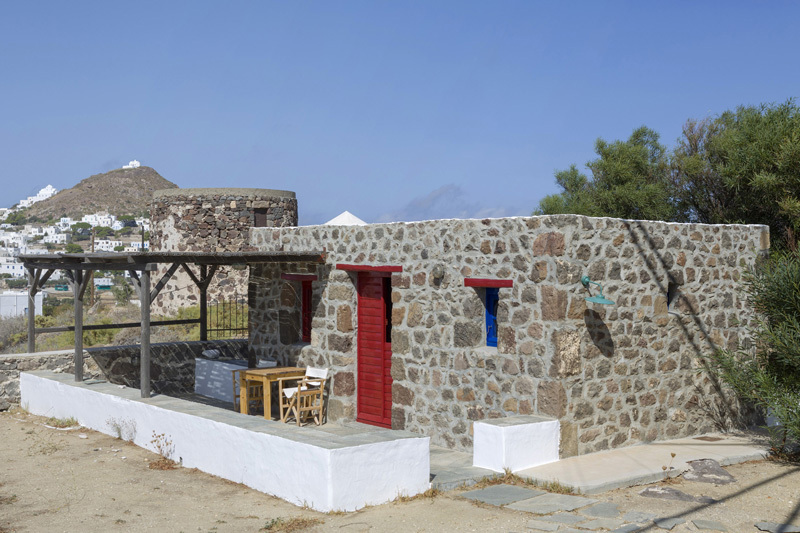 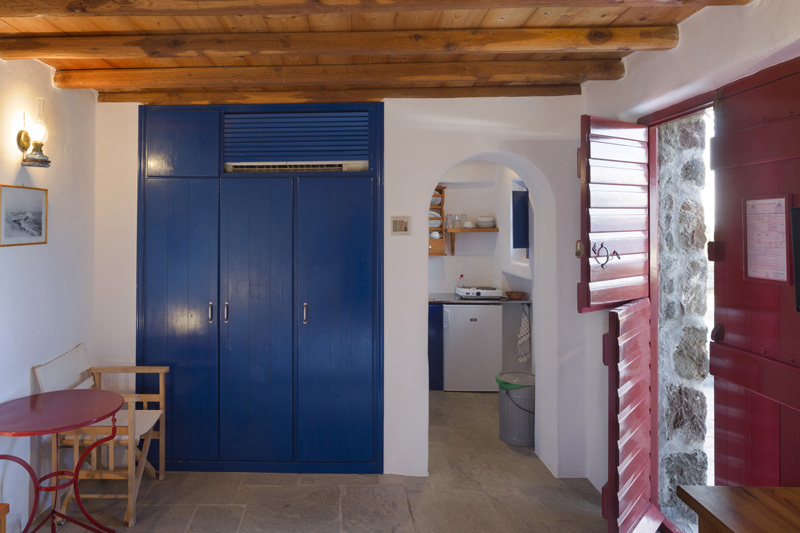 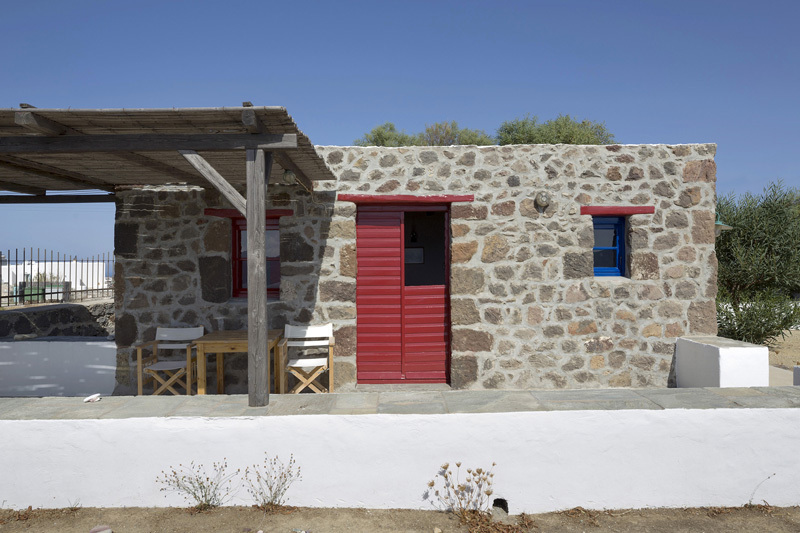 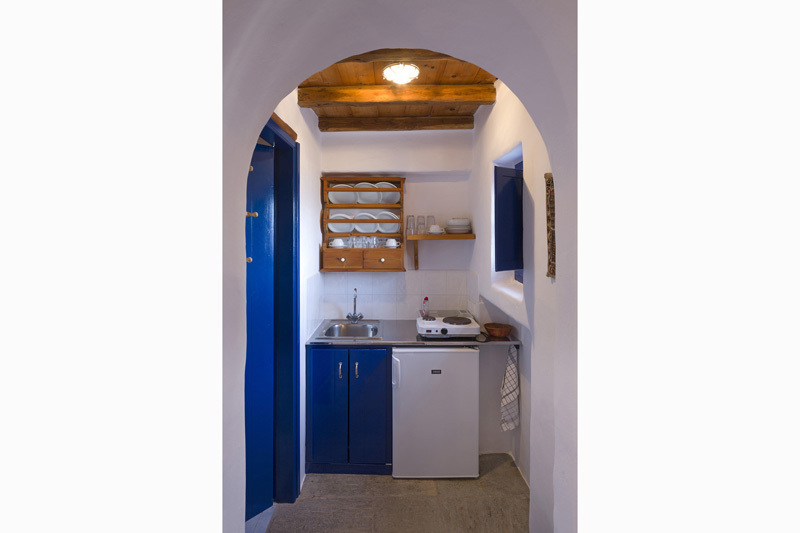 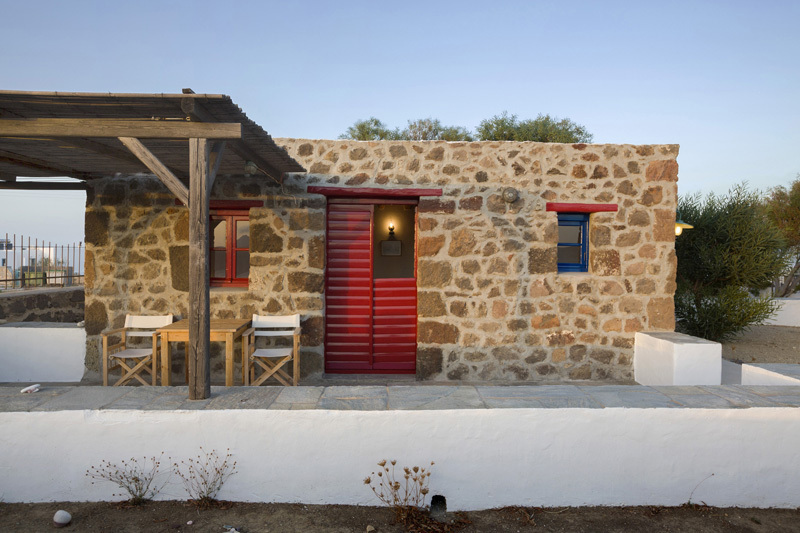 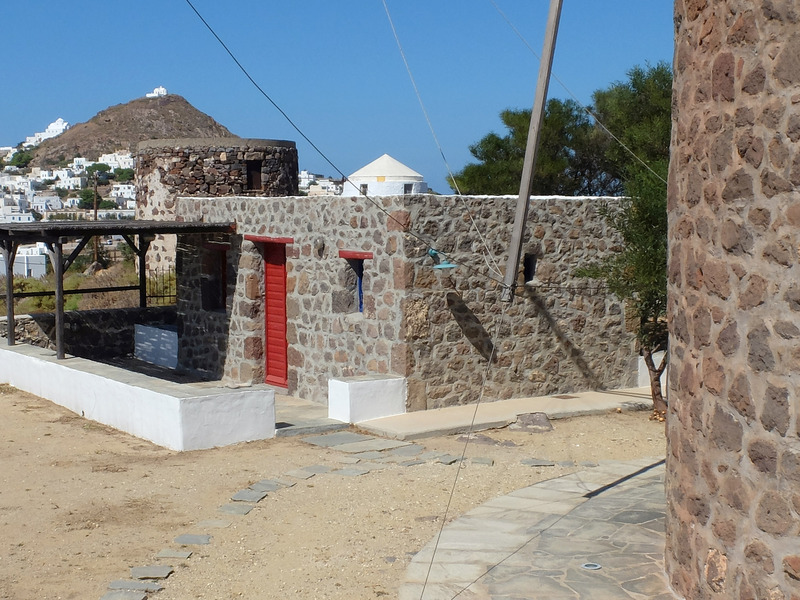 In Trypiti village at the top of the hill, in an area of 1000m2, a newly refurbished stone windmill and two small one - room houses are situated. 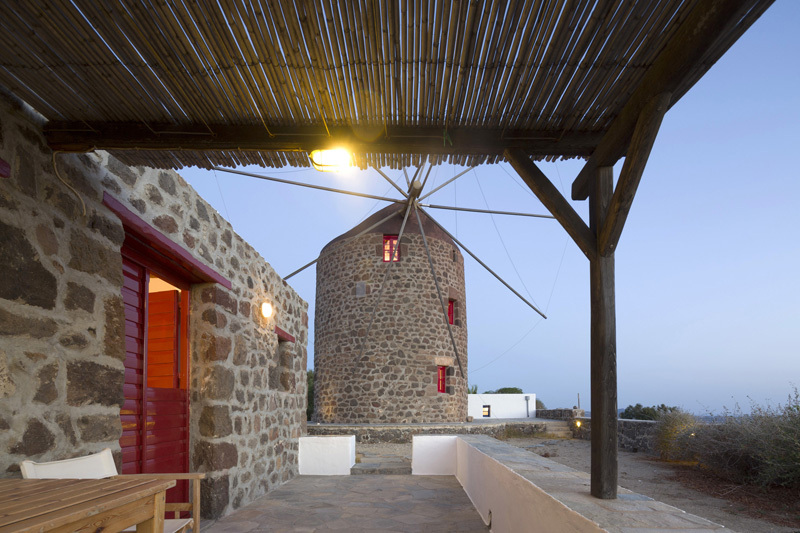 In the windmill the ground floor is used as a sitting room and kitchen and the two upper independent floors as bedrooms with their bathrooms. 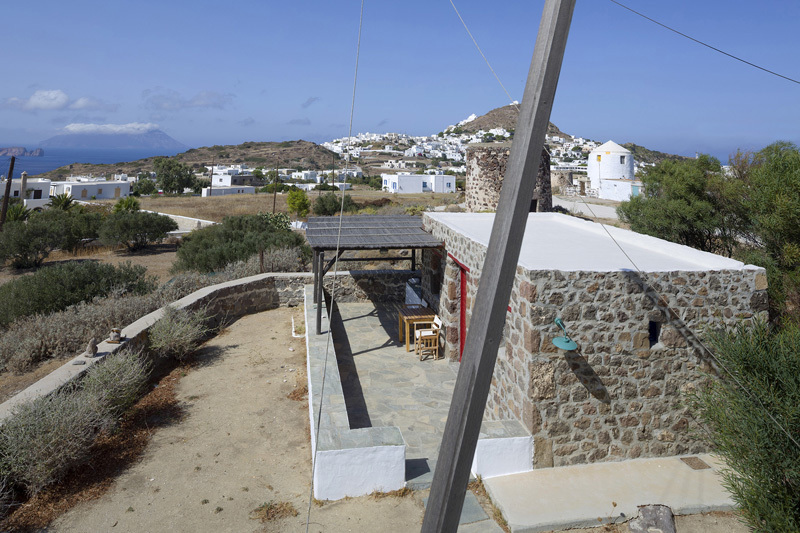 The houses and the windmill are equipped with air-conditioning, tv, radio-cd, cooking facilities, refrigerator and have a parking with individual yards. 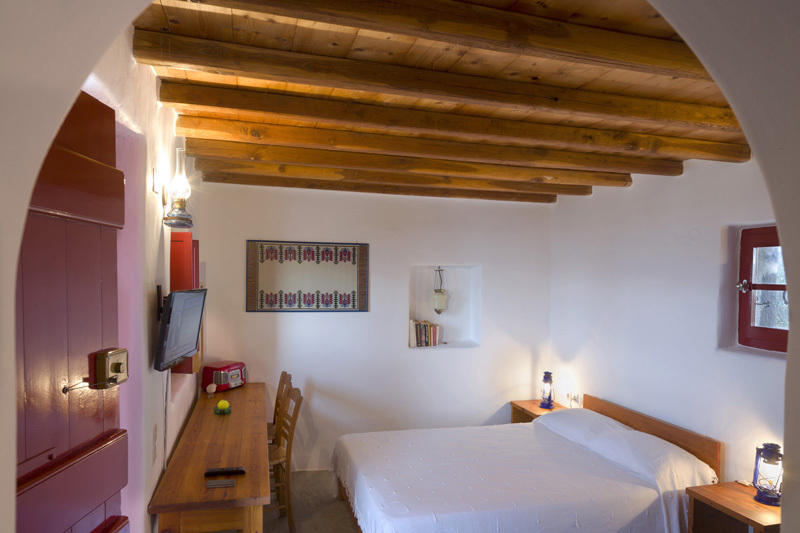 They are 5 minutes away from the surrounding villages and offer tranquility and panoramic view. 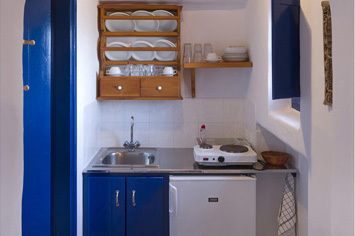 Appropriate for unique and unforgettable vacations.